In response to the tragic bus collision that claimed the lives of 16 Humboldt Broncos players and personnel two weeks ago, Nick Taylor announced that he would be donating $500 for each birdie and $1000 for every eagle he made at the RBC Heritage. Prior to the tournament, the Abbotsford, B.C., native explained that the accident hit home for him because of his small town ties and his love of amateur hockey as a youth. “I know the support they’ve already had on the GoFundMe page has been incredible,” Taylor said. “So for me to get some golf fans to maybe throw some money in there … anything helps, and that’s the mentality.” Unfortunately, Taylor didn’t play his best golf in the first two rounds and missed the cut by a single stroke. However, he did still make four birdies for a total donation of $2000, and hopefully inspired other Canadians to also contribute to the cause. To date, the Humboldt Broncos’ GoFundMe page has received more than $12 million in donations. 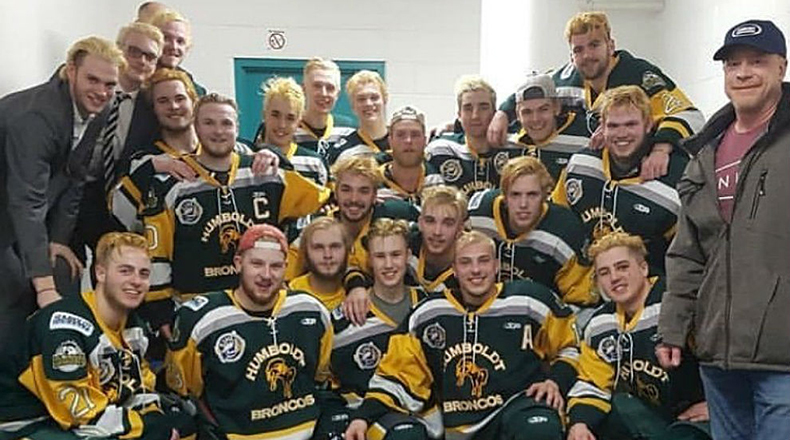 You can support the Humboldt Bronco’s here. 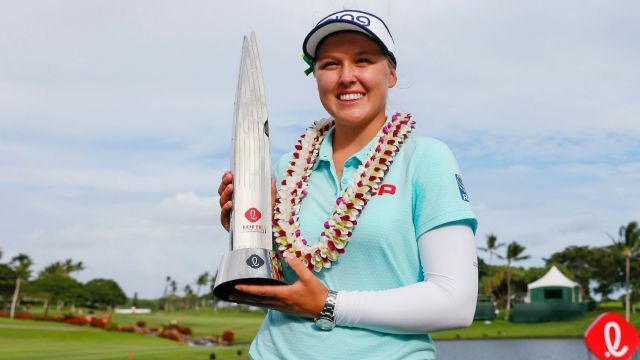 Brooke Henderson notched her sixth LPGA Tour win last week at the Lotte Championship in Hawaii. That puts the 20-year old within striking distance of Canadian Golf Hall of Famer Sandra Post, who currently holds the record for most LPGA wins by a Canadian at eight. Henderson overcame a couple of moments in the third round when her putter let her down, including an uncharacteristic four-putt on the 16th hole. However, she rebounded on Saturday to claim the title by four shots. Henderson dedicated her victory to the people involved in the Humboldt bus crash. We know that avid golf memorabilia collectors will pay just about anything for Tiger Woods’s used golf gear, but the amount that one of his back-up Scotty Cameron putters from 2001 just fetched in a recent online auction was flat-out ridiculous. 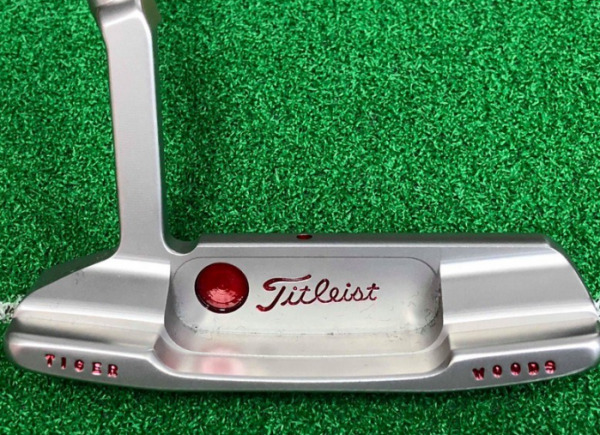 Even though Tiger never used the putter — a “GSS Newport II with rare vertical stamping and sight dot” — in any of his tournaments, it still sold for an astonishing $44,401.20 on Green Jacket Auctions. And yet, it turns out that figure might have actually been a bargain, given that another of Tiger’s back-ups recently sold for $60,000 in Japan! 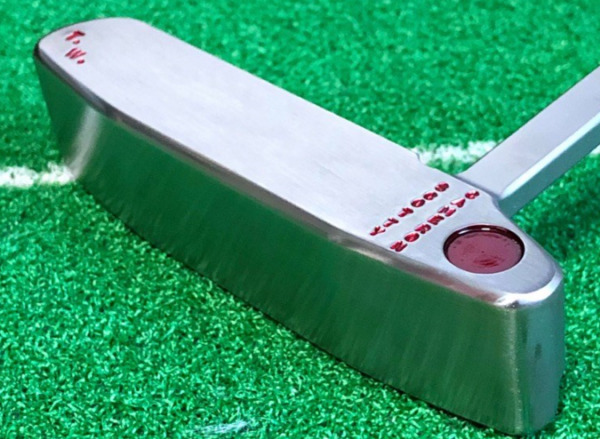 The flat-stick reportedly came with two certificates of authenticity, including a letter of verification from Scotty Cameron corroborating that the putter was made for the 14-time major champion. According to the putter’s lot description on the website, Scotty Cameron only made a couple of back-up putters for Tiger each season just in case something happened to his trusted gamer. Nonetheless, that is an exorbitant amount of money to pay for a putter that the Hall of Famer may have never even touched. 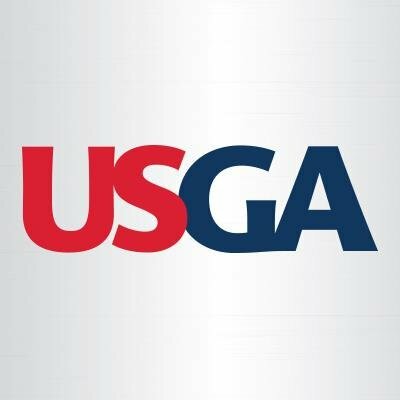 Going forward, the USGA will be inviting the winners of its 14 national tournaments to compete in a new, annual four-hole team event on the Tuesday prior to the US Open. The event will debut at Shinnecock Hills this summer on the course’s 10th, 11th, 12th, and 13th holes and will consist of an alternate-shot format. Plus, it will be televised, so golf fans will not only get to watch the action, but also procure a glimpse into how Shinnecock Hills is playing prior to the US Open. “To win a USGA championship is to have reached the pinnacle, whether it’s junior golf, amateur golf, professional or seniors and we felt that we weren’t quite doing enough to celebrate them,” said USGA executive director Mike Davis. “So this is a great chance to give them a place to honour their accomplishments.” Following the event, the USGA will honour the participating champions with a special dinner. It is unclear yet whether Brooks Koepka and Park Sung-hyun, who each captured their first career majors at the US Open and US Women’s Open in 2017, will be playing in the event. However, considering that Koepka will be in this year’s field at Shinnecock Hills to defend his title, it would be a pretty safe bet to assume that he will likely participate. Canada will be represented at the event by Thornhill Country Club’s Judith Kyrinis who claimed the U.S. Senior Women’s Amateur title last year after defeating Terrill Samuel of Weston G&CC in an all-Canadian final. Here’s one solution to stop over-rotating your hips through impact: just line up to the ball with your body facing away from the target. Seriously though, you probably shouldn’t try this on the range unless you are very flexible. This looks like a lower back problem waiting to happen! This trick shot is so spectacular that we don’t care how many attempts it took to get it right, although we suspect that it was probably in the dozens. Satoshi Kodaira clinched his first PGA Tour win on Sunday evening with this clutch 25-foot birdie on the third playoff hole at Harbour Town.